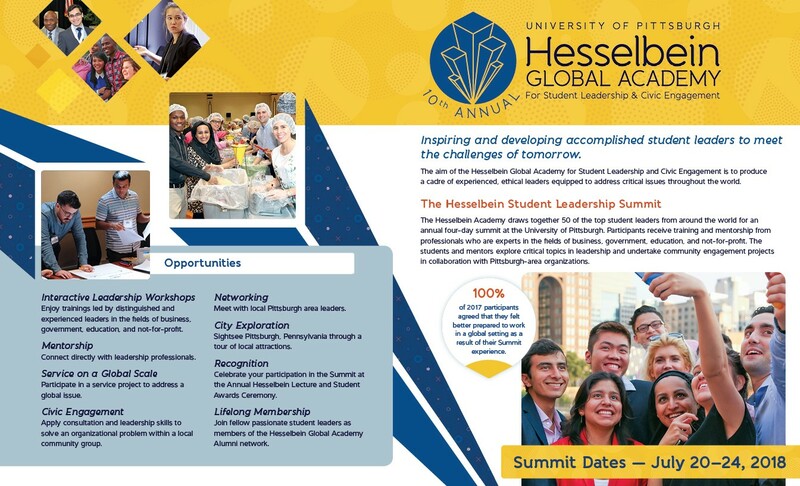 Welcome to the Hesselbein Global Academy of Student Leadership and Civic Engagement! 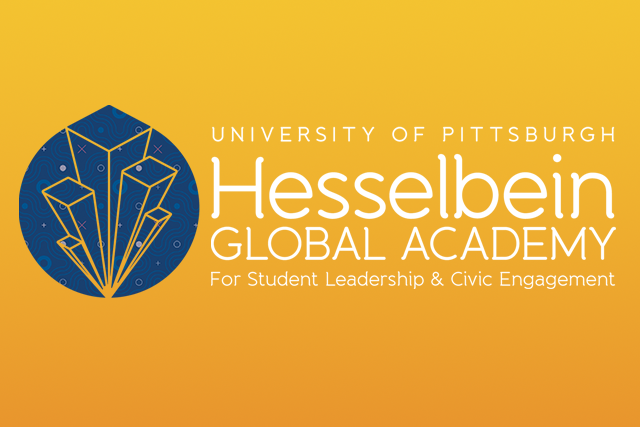 The 2019 Hesselbein Student Leadership Summit will be held at the University of Pittsburgh from July 20-23, 2019. APPLY NOW. 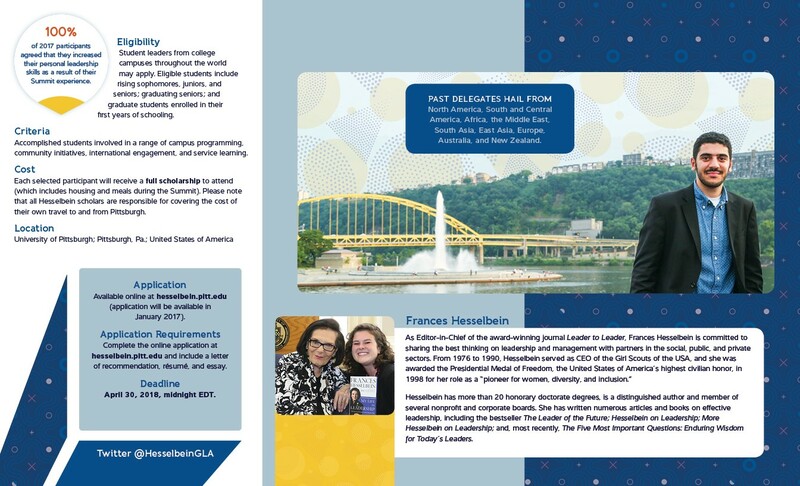 Make a donation to help support future participants of the Summit! All donations will be used to fund travel and activities for college students who want to make a difference in their communities. 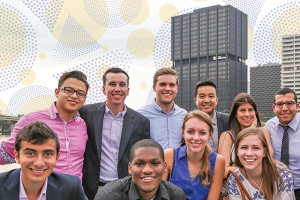 Your gift will directly help to support students attendance at the Summit. To make a gift, please visit this website.